As some of you may know I love buying products that bring awareness and contribute to great causes. When consumerism and social good go hand in hand it can make a great impact in solving today’s greatest issues. It is one of the reasons I started a social enterprise, Freely Clothing, for myself! ***Personal plug, but if you’re reading this post now you can get a 10% discount to the shop. Use YASS10OFF through the weekend to get your discount! In this outfit I’m wearing my super comfy charity: water shirt. 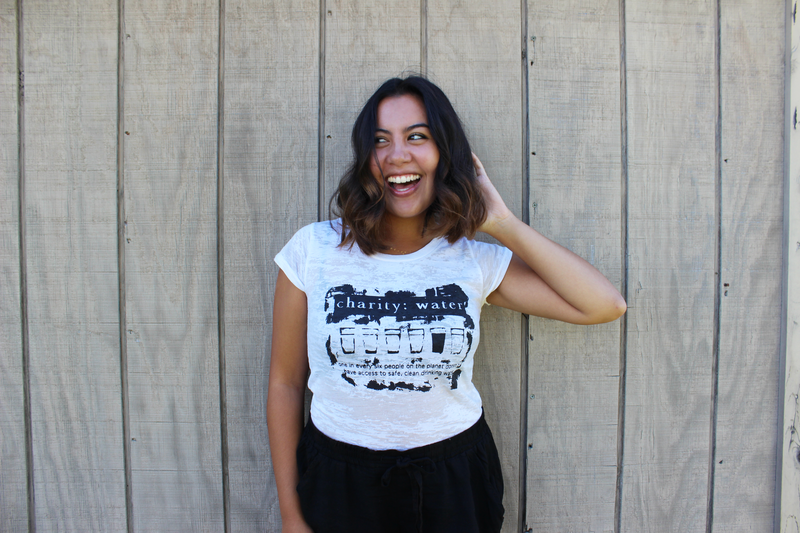 It’s a great tee to spread awareness of the need for clean and safe drinking water in developing nations. 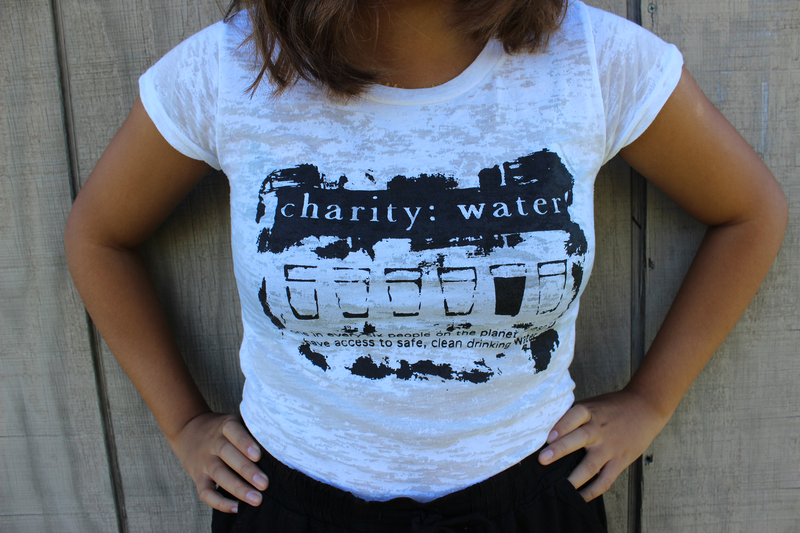 The shirt states that one in every six people on the planet doesn’t have access to safe, clean drinking water. Calling all readers! I’ve been working on a separate project and I want to know all of your opinions on the subject. The subject is giving. I know a lot of us would like to make a difference in the world, whether that be something small like smiling at people you walk pass or taking steps to end poverty in third world countries. However, I found that there are a lot of inhibitions when it comes to giving for the millennial generation as a whole and it all boils down to resources. We don’t have loads of money! A great number of us our still students living on menial allowances or pay checks from part-time jobs. One day my sister and I came across a video for a non-profit called All Girls Allowed. This non-profit’s social mission is to end gendercide in China and prevent the unwarranted stigmas having a baby girl in China has as a nation. They help support mothers that have baby girls in a society where it is often commonplace to abandon baby girls in the hopes of birthing a boy. We were both very touched by this mission and wanted to donate. Like many other charities you see on television they had a monthly donation program. Being students we don’t always have a fixed amount of money in the bank and didn’t want to risk being overdrawn by donating monthly. That got me thinking… how many young people have a heart for creating a social impact in their communities but don’t because they lack monetary resources? I started thinking of all the things I would change. So, here comes the question. What would you do if you could give freely? If you didn’t have to worry about funding what would you do to help someone? It can be as small as buying a lawnmower so that you can mow your elderly neighbor’s yard for free, or as big as starting a program that helps single mothers get late night child care. For now, I’d like you to think about how you would change your direct community since I think often times the needs of our neighbors get forgotten. Leave your comments in the box below or email castlefoundations@gmail.com! Your opinions would really help and I’m curious to know what all of our amazing followers would do.